Following assessments by a selection panel of independent experts and national competitions in Bulgaria and Italy, the cities of Plovdiv, Bulgaria and Matera, Italy have been recommended as European Capitals of Culture for 2019. In Italy: the selection panel of independent experts responsible for assessing the Italian cities competing to be European Capital of Culture in 2019 has recommended that Matera should be awarded the title. The other five cities short-listed after the initial pre-selection round in November 2013 were Cagliari, Lecce, Perugia, Ravenna and Siena.The formal designation of Matera by the EU's Council of Ministers is expected to take place next year. In Bulgaria: the independent selection panel responsible for assessing the Bulgarian cities competing to be European Capital of Culture in 2019 has recommended that Plovdiv should be awarded the title. The other three cities short-listed after the initial selection round in December 2013 were Sofia, Varna and Veliko Turnovo. 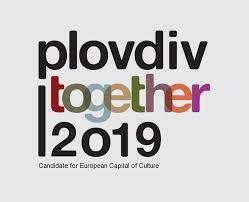 The formal nomination of Plovdiv by the EU’s Council of Ministers is expected to take place in May 2015. In separate news, the forthcoming European Capitals of Culture for 2015, Mons, Belgium, and Plzeň, Czech Republic were recommended for the Melina Mercouri Prize for the quality of their preparations - expect great cultural programmes for 2015 in Mons and Plzeň. The European panel in charge of monitoring preparations by the 2015 European Capitals of Culture, Mons, Belgium, and Plzeň, Czech Republic, has recommended that both should receive the Melina Mercouri Prize in recognition of the quality of their preparations. The prize amounts to €1.5 million for each city, to be paid under the EU Creative Europe programme. As with all cities which have held the title of European Capital of Culture, the preparations of Mons and Plzeň for the title-year have been assessed by a monitoring and advisory panel which ensures that their programme meets the criteria for the title and respects the pledges made by the cities before they were officially designated.